With our cold, clean waters and unspoiled landscapes, Scotland is blessed with a fantastic larder of the finest food and drink. Scotland is well known for the quality of its natural produce and the ‘farm to plate’ provenance of its premium food and drink. Scotland’s talented producers are passionate about their craft and are dedicated to satisfying the growing international demand for our premium food and drink products. We work hand-in-hand with the Scottish Government, Scotland Food & Drink, and industry bodies and associations, to carry that message of quality to the wider world. Scotland's food and drink producers are blessed to work with beautiful, unspoilt landscapes, fertile land, clean air and clear waters. From the beef farmer tending his herd in grassy, rural Aberdeenshire, to the salmon farmer nurturing smolts in the cool, clear waters of the North Atlantic, to the master blender perfecting single malt in a Highland distillery – Scotland truly is the world’s land of food and drink. From the best bars to the finest hotels and restaurants, Scottish produce is valued not only for its quality and flavour, but for the stories and heritage it embodies. After all, why eat a steak from an anonymous breed when you can tuck into a delicious cut of farm-assured, grass-fed, pure-bred Aberdeen Angus? Why offer your guests poor quality salmon when you can serve up the prime Scottish variety? And why toast a special occasion with an inferior ‘whisky’ when you can enjoy a glass of one of Scotland’s legendary malts? Scotland helped pioneer the world’s salmon farming industry, and is now the third largest farmed salmon producer in the world. One of Europe’s largest seafood producers, our cold, clean waters make Scotland’s seafood some of the best in the world. Famed for its flavour, aroma and complexity, world-conquering Scotch Whisky has helped carry the name of Scotland to the four corners of the Earth. Scottish dairy herds produce are among the most efficient in Europe and our abundant rain and lush grass make Scotland one of the world's best places for milk. There are over 90 craft breweries in Scotland, producing innovative beers, ales, lagers and stouts. There’s much more to Scotland’s distilling industry than whisky - we also produce world-class gin, rum, and vodka. Scottish bakers are rising to the double challenge of creating new products and finding fresh markets for our traditional bakery products. Scotch Beef, Scotch Lamb and Scotch Pork is globally famed for its flavour and succulence, commanding premium prices on the world stage. With a larder full of high quality ingredients, rich in oats, iron-rich vegetables and oily fish, Scotland is well placed to play a leading role in the health food revolution. "Scotland boasts a stellar reputation for its high quality seafood. With Scottish seafood, we have more than the promise of premium seafood, we know they have also been produced with worldly responsibility." Scotland helped pioneer the world’s salmon farming industry, building the sector from a small player into today’s multi-million-pound industry. Scotland is now the third largest farmed salmon producer in the world. Nature, as well as ambition, played its part in the industry’s growth, with Scotland’s many sea lochs providing a perfect environment to farm fish. Unpolluted seas and strong currents are essential to help develop the firm, textured flesh and exceptional flavour Scottish Salmon is renowned for. Scottish Salmon was the first non-French food to gain the prestigious 'Label Rouge' quality mark. The unique quality, taste and flavour offered by Scottish Salmon has made it a global favourite with both diners and chefs. The quality of our farmed salmon is recognised by the world’s top chefs, many of whom see Scottish produce as offering premium quality and flavor. As the healthy-eating message hits home across the globe, more and more diners are enjoying the health benefits of a diet rich in oily fish. The convenience and quick-cooking time offered by salmon makes the fish a favourite with hungry, busy consumers. One of Europe’s largest seafood producers, our cold, clean waters make Scotland’s seafood some of the best in the world. From the Highlands to the Lowlands, from the calm of our sea lochs to the wild waters of the outer islands, Scotland is blessed with a well-stocked seafood larder. The world’s top chefs put a premium on our produce. From prime shellfish to white and oily fish, the variety, quality and health benefits of Scotland’s catch can’t be bettered. Scotland has one of the most modern fishing fleets in Europe, with our global trade and transport links ensuring that produce arrives in the world’s kitchens and markets as fresh as the day it was landed or harvested. Over two thirds of the world’s langoustines, one of the world’s premium seafood products, are sourced from Scottish waters. Add in our prime mussels, crab, oysters and lobsters, and you already have all the makings of a shellfish feast. Scotland is home to over 100 whisky distilleries - the greatest concentration of whisky production in the world. Using local water and grains, the flavour of our whiskies is as varied as our country, the alchemy of location and landscape adding character at every step of the production process. Famed for its flavour, aroma and complexity, world-conquering Scotch Whisky has helped carry the name of Scotland to the four corners of the Earth. No matter where you are in the world, look on the shelves of any bar and you’ll spy a familiar friend from Scotland. While many countries in the world produce whisky, only one country - Scotland - can make ‘Scotch’. Rightly famed for its flavour, aroma and complexity, the world-conquering drink is a simple distillation of just three raw materials: water, cereals and yeast. The process that transforms that trio into Scotch Whisky is one part skill, one part art, and one part alchemy. Only when the whisky has matured - in Scotland - for a minimum of three years, can it be labelled and sold as Scotch Whisky. Single malt Scotch Whisky is usually classified in one of five categories - Highland, Lowland, Speyside, Islay, and Campbeltown - with the local climate and geography of each region adding its own tastes and flavours to the whisky produced there. From the muscular, peaty malts of Islay, to the lighter, sherried flavours of Speyside, each malt is unique. When it comes to rearing prime beef, lamb and pork, our farmers go for quality, not quantity. Compared with most other livestock-producing countries, Scottish herds are small. The meat they produce is globally famed for its flavour and succulence, commanding premium prices on the world stage. Our prime beef and lamb are to be found on some of the best menus, with some big-name chefs often stipulating that they will only cook and serve Scotch Beef. With our grass-fed, hormone-free and sustainably-farmed promise, who can blame them? Consumers seem to agree. Although red meat consumption is falling, shoppers seem happy to pay more for a premium product. Traditional Scottish breeds are famous all over the world. From the famed Aberdeen Angus and the iconic Highland, to Luing and Belted Galloways, each breed has a different temperament and taste. The same is true of our traditional sheep breeds, with the ancient Blackface, Northern Cheviot and Hebridean each bred to survive and thrive in our particular landscape. 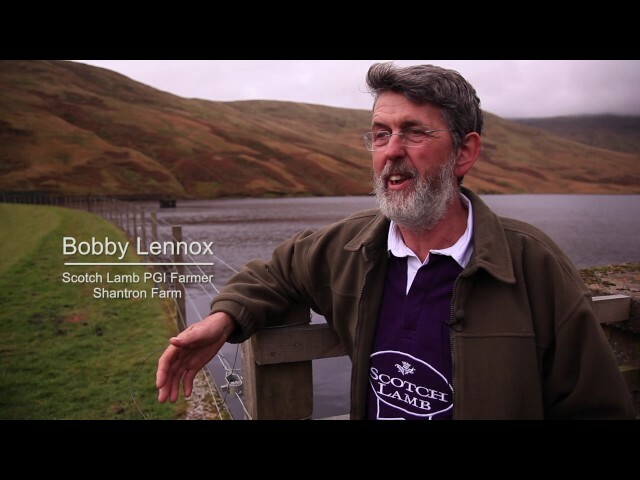 To guarantee the genuine article, production of Scotch Beef and Scotch Lamb is protected by international schemes such as Protected Geographical Indication (PGI). "We are continuing to grow. There are huge investment flows from established producers. In the last few years some 14 new distilleries saw spirit flow for the first time. We are aware of up to 40 further projects for new distilleries. We haven't seen anything like this for many years." Whether you’re a wholesaler, retailer, foodservice operator, importer or an agent, if you're interested in buying the very best Scottish food and drink products, our international team is here to help you.